Welcome back to our "Social Media @ Work" series, which features great social media advice from a variety of professionals. 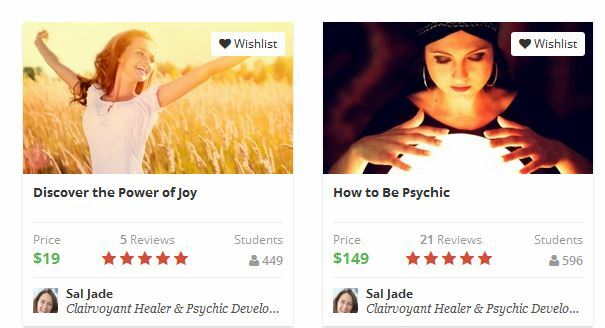 This post features Sal Jade, a clairvoyant healer and psychic development instructor who hails from Manly, which is a suburb of Sydney, Australia. How long have you been in the industry, and how did you get started? I’ve been in the industry for 7 years and I got started when I was taking a break from teaching and managing a crystal shop. I had graduated from Doreen Virtue’s Angel Intuitive Course about 10 years ago and used to practice readings on customers to ‘tune’ in to see what they needed, and found loads of people would come in and urge me to become a professional reader. From then I decided to do a ThetaHealing course and fell in love with it. I started combining angel therapy and Theta healing with energetic healing, and after about a year of building up clients, I got frequent requests to run courses and workshops on how to do what I do in my sessions. So I’m lucky because I got to combine my two great loves- healing and teaching! What do you like the most about your profession? I love working with energy and angels to shift people from life-long patterns and see the miraculous transformations that can take place in someone’s life when they are willing to go into their swamp and heal their deepest wounds and fears. I think it takes tremendous bravery to face your shadow and make a concerted effort to try to heal the parts of your life that aren’t working, so I’m always really excited when I can be part of that process for my clients. I also love doing past-life regressions because they can be so out there! Sal Jade. Image used with permission. As a teacher, nothing beats the thrill of bearing witness to one of your students discovering their own gifts, and feeling that sense of ‘coming home’ or belonging. I also am a big believer in helping my students and clients become so aware of their own magic and power that they trust their intuition enough so that they no longer need to see psychics or healers. My other biggest kicks come from helping someone overcome their fears about following a career of passion and joy, and discovering they really have what it takes to succeed at it. It’s an absolute blessing to be able to be a part of someone’s soul journey in this way! Whom do you look up to in your profession, and why? I have always loved Louise Hay - her books are what started me on my own healing journey 21 years ago and I love her role in helping the world discover the power of self-love and forgiveness. Doreen Virtue is a great instructor who I admire for bringing angel work to the mainstream and her tireless efforts to promote a better world for intuitives. One of my two biggest inspirations have been healers I have had: I worked with an incredibly gifted anthroposophical homeopath years ago called Lisa Romero who introduced me to the soul’s journey with healing which still inspires me today and I have a Network chiropractor called Euan Macmillan in Sydney who is an absolute magician at helping me clear my stuff. What is your favorite social media platform (professional or personal) and why? What forms of social media do you use to advance your career? 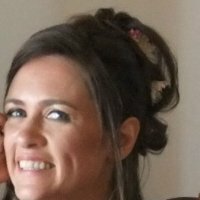 I use Facebook to connect with other entrepreneurs and to gain insight, wisdom and knowledge about the business aspect of my professions. I also have Facebook pages attached to my onlineUdemy courses which helps my students come together as a community and practice the skills my courses teach. I also have a Facebook page where I have free daily readings where I interpret cards for the [people who like my page] and offer channelled insights into what may lie ahead for the day and how to manage it. With my Udemy courses I use Facebook a lot to access the Udemy faculty lounge to discover new ways to enhance my student’s learning experiences. A screenshot of Sal Jade's Facebook page. What social media advice would you give a newcomer to your profession? The first biggie is avoid the beginners mistake of posting anything that resembles ‘buy my course buy my course buy my course.’ Everyone is exhausted with being marketed to- so the best advice is to build relationships based on common interests. Offer solutions when you can and get to know your potential customers. There are loads of ways you can build likes on Facebook- but I suggest never ‘buy’ likes from Fivrr or other sites as this severely damages your Facebook algorithm. I have never advertised on Facebook- lots of people have success with it- but I am a bit reluctant to because I have tried to contact Facebook when I have had problems with my page and they have never gotten back to me. I’ve also spoken to other entrepreneurs who have spent a fortune for very little result. I am aware however that FB advertising does work for some people- but it hasn’t been my experience. There are loads of courses and Facebook gurus who will promise to ‘double your likes’ be very wary about what you invest in. There’s tons of free or relatively inexpensive information out there. My best advice of all is read ‘How to Winfriends and Influence People’ by Dale Carneigie. That has been one of my greatest assets in using Facebook even though it was written decades ago! Sal Jade's current courses on Udemy.com. Are there any current or upcoming projects you’d like to plug? I’ve just started working on an online tarot course which should be ready for publication in about 6 weeks- and my flagship How to Be Psychic online course on Udemy is my current active project. The course is designed for beginners who are curious about improving their psychic gifts in a safe and supportive way. It helps you connect with your angels and spirit guides and discover new ways to determine what your next best moves are in your career and finances and relationships. It’s filled with meditations and videos to help you do psychic readings for yourself or professionally – and also helps protect you from negative people and situations. It has a lifetime access so you can take as long as you need to complete it and I regularly update it with new lectures with the latest skills and techniques to enhance clairvoyance and other abilities. There is also a Facebook page [for students] where you can practice readings and receive readings and find access more resources to build your intuitive gifts. I am such a huge believer that our minds are the most powerful instruments in which we can implement great miracles and changes in our life. Sal Jade specialises in assisting those with anxiety and depression heal the most painful aspects of their past so they can learn to trust their soul’s journey and discover their magic to heal themselves and others. 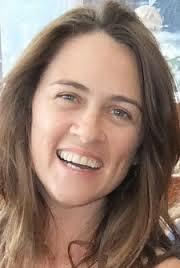 She is a qualified Angel Therapist, ThetaHealing Practitioner and Instructor and Tarot Reader. Sal's formal training includes a Media and Education degree.She has been featured in Sprout Magazine and has read Tarot at MindBodySpirit and Women’s Expos. Learn more at her website.